Last month, the Planning Board meeting ran for a record three and a half hours. The April meeting, which happened last Thursday, approached that length: two hours and forty minutes. The topic taking up the lion's share of the time at both meetings was the request by BackBar to extend the hours of operation for its outdoor space from 10 p.m. every night to midnight on week nights and 2 a.m. on weekends. Changing hours of operation wouldn't be an issue for the Planning Board if it weren't for the fact that in June 2016, when BackBar sought site plan approval for its outdoor seating area, it was agreed that garden dining would end at 10 p.m. every night and there would be no music outside. For this reason, an amendment to the approved site plan is required for BackBar to change its hours of operation without being in violation of code. At the March meeting of the Planning Board, it was decided, after a public hearing and a long discussion, that BackBar would close two of the three large overhead doors, which give access to the outdoor space, at 10 p.m. every night to mitigate the music and other sound spilling out into the neighborhood from the bar and the interior space at BackBar. At the time, no one seemed convinced that this would have much effect in mitigating the noise issues, but it turns out it does, as far as the music from the bar is concerned--to the satisfaction of the members of the Planning Board who paid a visit to the site to listen for themselves and to Peter Frank, whose house on Union Street is across the alley from the site. But, it's not just about the music. It's also about people congregating, drinking, and getting loud. Frank told the Planning Board, "There have been many nights when the music is barely audible, but it's like a frat party on my doorstep." John Friedman, who is the lawyer representing BackBar, told the Planning Board that efforts were being made to address the sound issues, including hiring an acoustician and constructing a twelve-foot fence or wall of sound-absorbing material along Cherry Alley, but it could take up to a year to implement everything. He explained that the acoustician was in such demand that they weren't able to get an appointment until July, and a twelve-foot fence would require a variance from the Zoning Board of Appeals and a certificate of appropriateness from the Historic Preservation Commission. Meanwhile, BackBar needs to operate profitably in order to support the expense of the sound mitigation. After more discussion, Chatham proposed that the board give conditional approval for the outdoor space to stay open until midnight Sunday through Wednesday and until 2 a.m. on Thursday, Friday, and Saturday, making the approval good for only one year and requiring the applicant to implement sound mitigation efforts within that time frame. Frank said he thought it was a very good solution, but when a motion was made and voted on, Chatham, Moore, and Gramkow voted in favor; Margolis and Wieman were opposed. At this point, Friedman rose and announced, on behalf of his client, that he was withdrawing the application. "We'll keep it the way it is," he told the Planning Board. 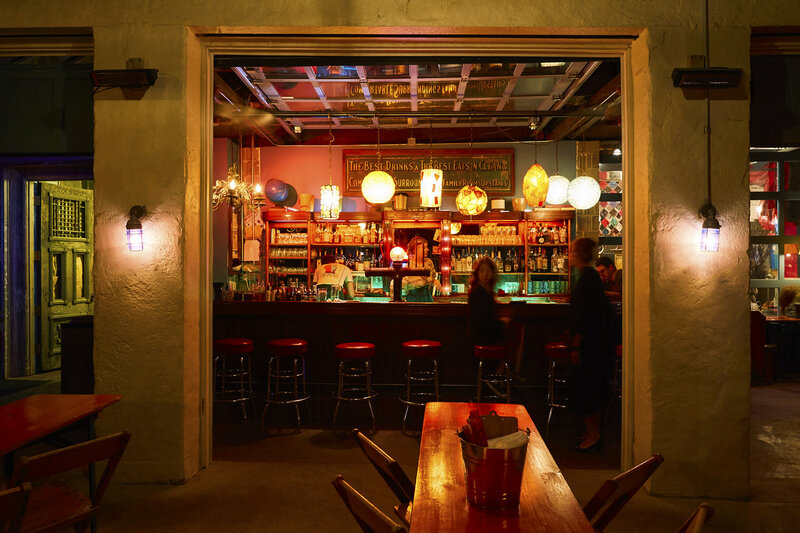 "The way it is" presumably meant that although no one would be served in the outdoor space after 10 p.m., the doors would remain open and the sounds from the bar would spill unchecked into the neighborhood. Friedman's declaration inspired Margolis to say she would change her vote. Another vote was taken on the same motion. This time only Wieman remained opposed, and the resolution to approve the application, with conditions and a one-year time limit, passed.